Our office is located at 1212 Trumansburg Rd which is also NY-96 North. 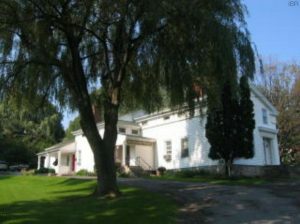 It is a white, Greek revival house with red doors. Heading North, the building is on the left hand side of the road just after Bundy Rd. There is ample parking at the back of the building.